there are many children in Sierra Leone who will celebrate Christmas by enjoying a meal with maybe an extra portion of rice. However, continuing the tradition in NHA, the Children's Sunday School of St. Mark's Anglican Parish in Portland, Oregon organized a project to send the candy canes for us this year. James received them in plenty of time and yesterday on Christmas Eve he was out distributing some of the canes to outlying villages. 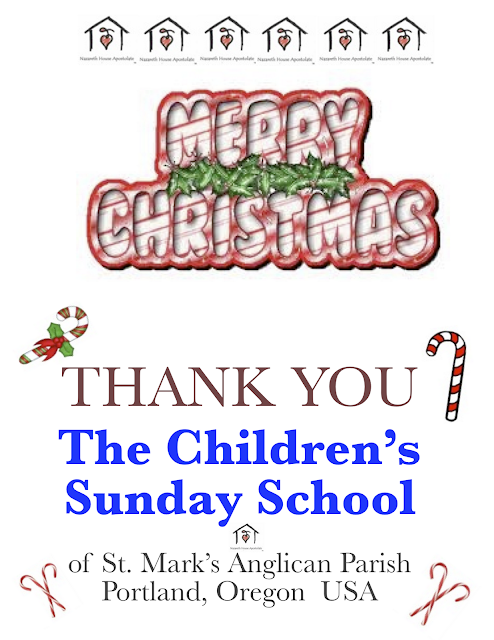 Because of the children of St. Mark's these children received a real treat, a real Christmas present. To kids in America it may seem as only a simple candy cane but to these children in Sierra Leone it is amazing and they are totally delighted. There are plenty more candy canes and we will be reporting on their distribution later this week in the blog.